Jane Urquhart's novel about an Irish family transitioning to life in Canada was a contender on Canada Reads 2013. An epic family saga spread across multiple decades and countries, Away details the history of an Irish family in Canada. Esther O'Malley Robertson is the last occupant of her family's homestead in Ontario, where she is being forced out by an encroaching limestone quarry. Esther relates the 140-year history that brought her family from the inhospitable shores of Ireland during the potato famine to the challenging realities of the Canadian Shield. Shot through with Irish mythology, Away also vividly depicts the 19th-century pioneer life in settlements in Ontario at the time of Canadian Confederation. 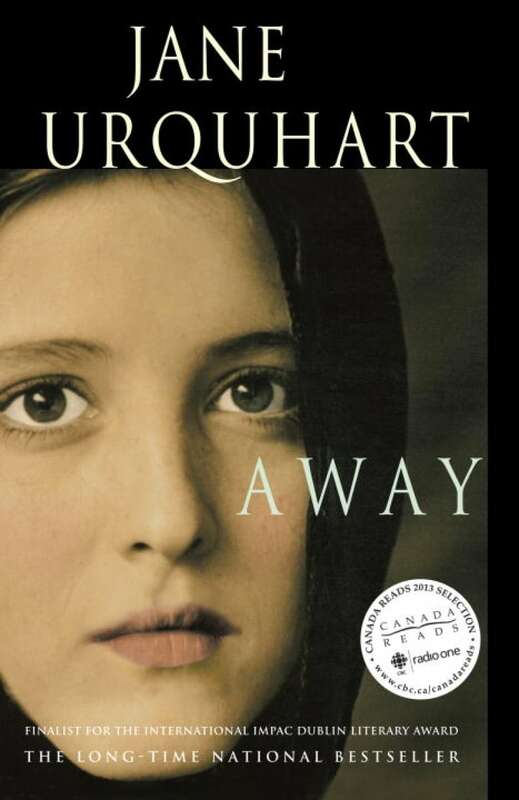 Away won Ontario's Trillium Award in 1994 and was a contender in Canada Reads 2013, when it was defended by Charlotte Gray. A hundred and forty years before and thousands of miles away, the girl Mary had been the first to witness the beginning of the miracle. Stumbling across the new stones whose texture made walking difficult, she had turned to face the ocean which had robbed her of her favourite boulders. She had been, in those early days, cursed with the gift of eloquence — a gift that would be taken from her forever one hour later. The sea responded to her rant by turning an odd shade of whitish green and swelling up as if it were about to reveal a hidden volcano, and Mary watched, stunned, as thousands of cabbages nudged one another towards the shore. Soon the vegetables completely covered the new stones while behind them the ocean was divided into bands of colour; darks and lights separated by ribbons of glitter. The glitter, it turned out, consisted of a large quantity of silver teapots, so perfectly designed against spillage that they proved very seaworthy as they bounced cheerfully towards the beach. The darker bands revealed themselves to be barrels of whiskey — enough barrels of whiskey to keep any who might want to be, drunk every Saturday night for decades. Flung across two of these barrels was, as Mary gradually perceived, a human form; its head thrown back, one half of its face hidden by a profusion of dark, wet curls. As the barrels that carried it approached the shore, Mary waded through fifty clanking teapots to meet it, and found an exhausted young man who, when she grabbed his shirt in her fists, opened two sea-green eyes and spoke the name Moira before falling once again into semi-consciousness. From Away by Jane Urquhart ©1993. Published by Emblem Editions.